A German princess, with whose portrait a king has fallen in love. A young woman who has none of the accomplishments he admires in women. A young woman who lives with a guilty secret. Anna awaits her bridegroom. She prays that she will please him. She knows she is no beauty… It is the most disastrous of beginnings. And now it is her wedding night, and she is tense with fear. They think, these English, that she is ignorant and naïve. They do not know her, or that she is aware of what is going on behind her back. Will it be divorce – or the headsman’s sword? ANNA OF CLEVES – the fourth of Henry’s queens. Alison Weir reveals a charming, spirited woman loved by all who knew her – and even, ultimately, by the King who rejected her. graces, and to impress their guests with her virtues. Ravenstein, over which her father ruled. and beard neatly trimmed, portly figure swathed in scarlet damask. cousins to the mighty Holy Roman Emperor Charles V, Vater’s overlord. Their awareness of that must be reflected in everything they did. and hostess, with little of the gaucheness often seen in boys of his age. When he rose from his bow to Anna, his smile was devastating. marriageable age at fourteen, this very year. drag her eyes away from Otho’s engaging smile. ‘This hall is said to have been built by Julius Caesar,’ he said proudly. only of Otho, standing just inches away, and of his eyes on her. been. But Mutter would never criticise what went on in Kleve. nine o’clock by his Hofmeister, who took his duties very seriously. ‘Your father has a wondrous palace,’ he said. She noticed her mother watching them, a slight frown on her face. whose advice he sought on religious matters. the Holy Father in Rome dismissed as if he were of no importance. ‘My lord has banned Luther’s works,’ Mutter said quickly. ‘Your son-in-law would not agree with you,’ Onkel Otho replied. ‘Yet you allied yourself to him by marriage,’ Onkel Otho persisted. see her daughter given to a Protestant. which she had nurtured them. The young people all jumped to their feet, Anna secretly rejoicing. ‘It will be our pleasure,’ thirteen-year-old Wilhelm said earnestly. Schwanenburg and how rich and prosperous the duchy was. Anna saw Otho smothering a smile. lips pursed in a pout. ‘Emily, you are such a lazybones,’ Anna sighed. ‘Oh, Wilhelm, it’s always what you want!’ Emily cried. none too pleased at the prospect of his twelve-year-old sister’s company. was not much older than Anna. red silk gown with its gold bodice embroidered with loops of pearls. that she too could look pleasing. The guards on duty at the door stood to attention as they approached. up her gorgeous skirt to ascend the stairs. Anna turned on the stairs to see him looking up admiringly at her. of her breasts beneath the velvet bodice. with such joy that she had no will to walk away, or to spoil the moment. Otho stood right behind her. momentous and dangerous, and had not the mastery to stop herself. schooled in absolute loyalty to her husband-to-be. lightly on the wrist. It gave her the most pleasurable jolt. bride. She withdrew her hand, and Otho straightened up. to Lohengrin.’ His voice sounded a little hoarse. respond to such a compliment. ‘You are going to tell me that it all went wrong,’ Otho said. kissing could be like that, but she knew it was wrong to be doing it. What would her parents think of her? ‘No,’ she said, pulling back. she struggled half-heartedly to free herself. ‘Little she knows! You can’t get a baby from kissing. It’s harmless. thrilling, talking about such things with a man. in him that she found infectious. around his fingers, his breathing becoming more rapid and tremulous. immersed in feelings and sensations she had never dreamed of. surprise at how little she had understood her own body – and no shame. building and building until she thought she would pass out. She lay there stunned as he turned his head to face her, and smiled. She nodded, thinking how beautiful his eyes were. moment for as long as possible. ‘This is what God intended for men and women!’ he smiled. with it the awareness that she had been a party to something forbidden. she regret something that had brought her such joy? ‘Can we be married, Anna?’ Otho asked, gazing at her longingly. Lorraine’s son.’ Her voice caught in her throat. ‘Betrothals can be broken,’ Otho said. her misery must be written plain on her face. She stood up, tidied herself and moved towards the door. ‘Where are you going, Liebling?’ Otho asked, looking bewildered. ‘We should go back. We have been here too long,’ she said. ‘I love you, Anna,’ she heard him whisper. like that! She had lain with him willingly – and she had been in ecstasy. from the tower. She prayed the guards would not notice her distress. ‘The Spiegelturm is over there,’ she called back, her voice catching. Leaving him standing there, she hastened away to her chamber. anything to do with what she had done this day. love, guilt and desperation she now carried. ‘Is your head better, my dear?’ Tante Elisabeth asked her. ‘I am much better, thank you,’ Anna told her. ‘You’ve changed your dress, child,’ Mutter observed. think of what had happened earlier, lest her face flame and betray her. the players when the last note had been struck. Tante Elisabeth regarded her with disapproval. The men were talking of politics. policy.’ Wilhelm was listening avidly. ‘What was he like, Vater?’ Wilhelm asked. into her palm. She swung round, to see Otho giving her a longing look. was a note, too. ‘Sweet Anna, please accept this token of my esteem. the ring she hid under the loose floorboard in the corner of her bedchamber. 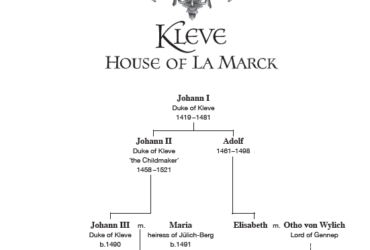 Anna of Kleve or Anne of Cleeves? 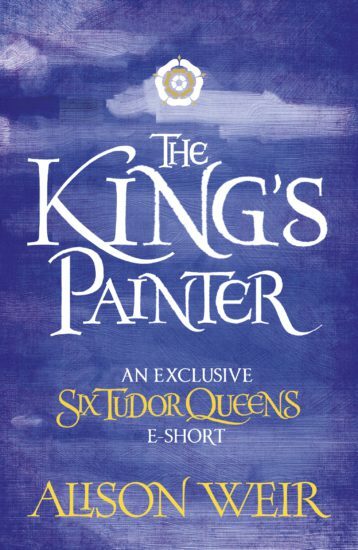 The King’s Painter by bestselling historian Alison Weir is an e-short and companion piece to the captivating fourth novel in the Six Tudor Queens series, Anna of Kleve: Queen of Secrets. King Henry VIII is set to marry a woman he’s never met. Wary of rumours whispered by foreign envoys, he sends Susanna Gilman, royal painter and trusted friend, to Kleve to find out more about his chosen bride. Before long, Susanna is returning to England with the Princess Anna, assuring the King she is a suitable match. But the King is disappointed – Anna is not as beautiful as her portrait. Susanna is called upon once again to use her position as confidante to the new Queen to find out more about her past, and free the King from his marriage. But will she be able to put her blossoming friendship with Anna to one side to fulfil her duty to the King? I was to be chief mourner – I, for whom Queen Jane had done more than anyone. She could never have filled the shoes of my dear, sainted mother – no one could – but she had done her very best to restore me to my rightful place in my father’s affections, and for that I shall always be grateful. Henry VIII’s third queen is dead, leaving the King’s only son without a mother and the country without a queen. And as preparations are being made for Queen Jane’s funeral, her stepdaughter, the Lady Mary, laments the country’s loss. But, only a month later, the King has begun his search for a new wife. Will Mary accept this new queen, or will she be forced to live in the shadows of Queen Katherine, Queen Anne Boleyn and Queen Jane for ever? A spellbinding companion piece to Jane Seymour: The Haunted Queen, featuring the first chapter of the novel. 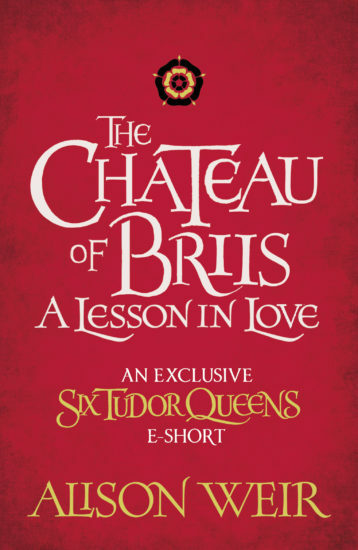 The Chateau of Briis: A Lesson in Love by historian Alison Weir is an e-short and companion piece to the Sunday Times bestseller Anne Boleyn: A King’s Obsession, the second novel in the spellbinding series about Henry VIII’s queens. 1515 – Dressed in wine-coloured satin, with her dark hair worn loose, a young Anne Boleyn attends a great ball at the French court. The palace is exquisitely decorated for the occasion, and the hall is full with lords and ladies – the dancing has begun. Anne adores watching the game of courtly love play out before her eyes, though she is not expecting to be thrown into it herself. But moments later, a charming young man named Philippe du Moulin approaches to ask for her hand in the dance. And before she can resist, so begins Anne’s first lesson in love. 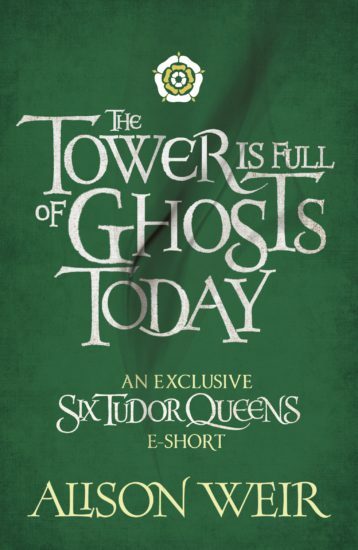 The Tower is Full of Ghosts Today is an e-short and companion piece to the Sunday Times bestseller Anne Boleyn: A King’s Obsession, the second novel in the spellbinding series about Henry VIII’s queens. Jo, historian and long-term admirer of Anne Boleyn, takes a group on a guided tour of the Tower of London, to walk in the shoes of her Tudor heroine. But as she becomes enthralled by the historical accuracy of her tour guide and the dramatic setting that she has come to love, something spectral is lurking in the shadows . . . 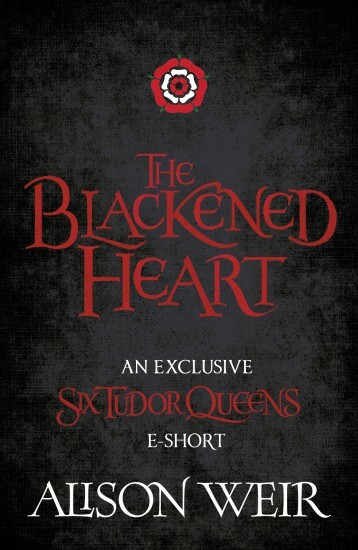 The Blackened Heart by foremost and beloved historian Alison Weir is an e-short and companion piece that bridges the first two novels in the Six Tudor Queens series, Katherine of Aragon and Anne Boleyn. Fans of Philippa Gregory and Elizabeth Chadwick will delight in this mysterious tale, drawn together from fragments of history – and a good dose of speculation. Or is it…? 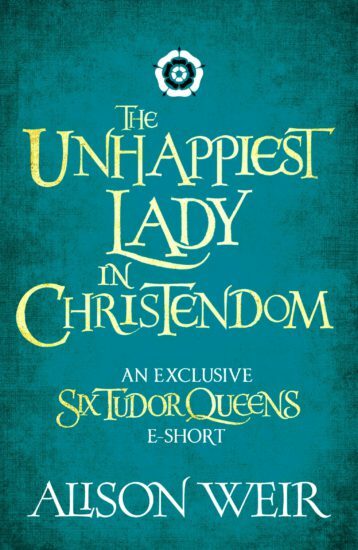 Margery Otwell, a self-made gentleman’s young daughter, gets her first taste of courtly life when she takes up a position as chamberer to Lady Peche of Lullingstone Castle. Dances, music, feasting – and a seduction – follow, and Margery learns the rules of courtly love the hard way. Saved from disgrace by the kindly Sir John Peche, Margery finds herself at court waiting on Queen Katherine. Little does Margery know that she is already a pawn in a game of power, irrevocably bound to the fall of the lady she will come to love as her mistress, Queen and friend. 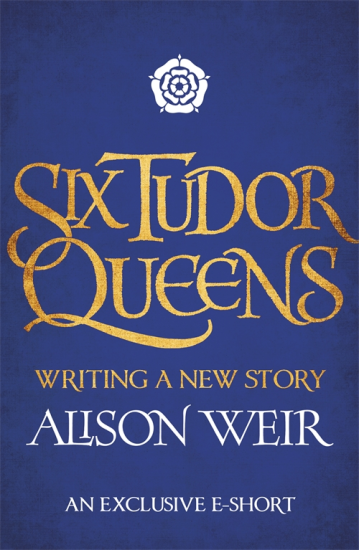 Six Tudor Queens: Writing a New Story is an introduction to the Six Tudor Queens series by eminent historian Alison Weir. 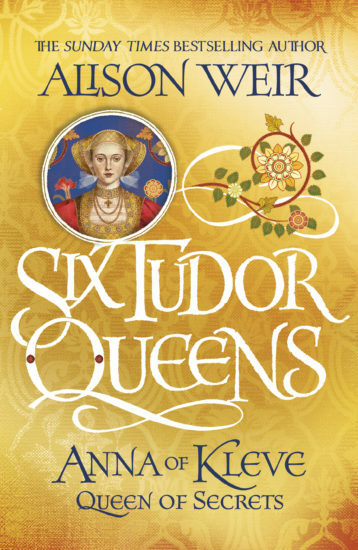 The lives of Henry VIII’s queens make for dramatic stories that will offer insights into the real lives of the six wives based on extensive research and new theories that will captivate fans of Philippa Gregory and readers who lost their hearts (but not their heads) to the majestic world of Wolf Hall. The idea of writing a series of six novels about the wives of Henry VIII came suddenly to me as I was discussing another proposal with my agent. It was an obvious choice, for I have studied Henry’s queens over several decades, and published books on them, notably a collective biography in 1991, which I am now re-researching and rewriting. I want to seek out the truths that lie behind the historical evidence and, for this, fiction is a versatile medium because it offers scope to develop ideas that have no place in a history book, but which can help to illuminate the lives of these queens. A historian uses such inventiveness at her peril – but a novelist has the power to get inside her heroine’s head, which can afford insights that would not be permissible to a historian, yet can have a legitimate value of their own – although I believe that the fictionalised version must be compatible with what is known about the subject. 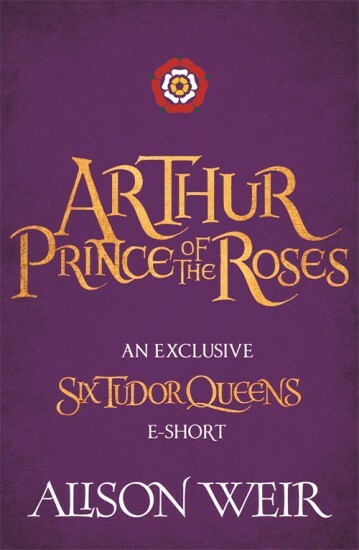 Arthur: Prince of the Roses by bestselling historian Alison Weir is an e-short and companion piece to her stunning novel, Katherine of Aragon, the first in a spellbinding six-novel series about Henry VIII’s Queens. 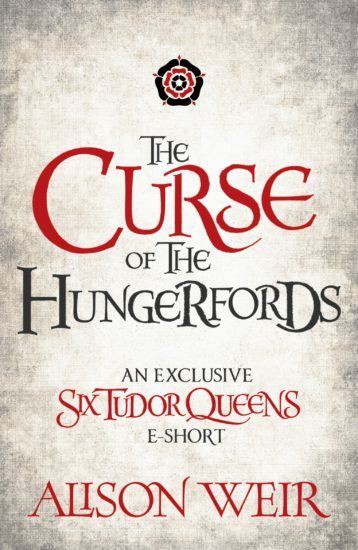 Fans of Philippa Gregory and Elizabeth Chadwick will love this insight into the story of this illfated Tudor prince. Arthur, the first Tudor prince, is raised to believe that he will inherit a kingdom destined to be his through an ancient royal bloodline. He is the second Arthur, named for the legendary hero-king of Camelot. To be a worthy ruler, he must excel at everything – and show no weakness. But Arthur is not strong, and the hopes of England weigh heavy on his slight shoulders. And, all the while, his little brother Harry, the favoured, golden son, is waiting in the wings. 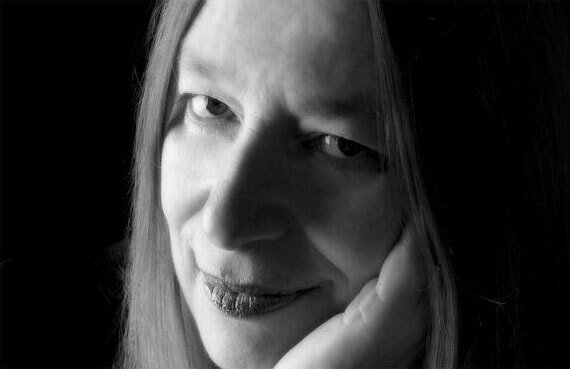 Alison Weir is the top-selling female historian (and the fifth best-selling historian overall) in the United Kingdom, and has sold over 2.7 million books worldwide. 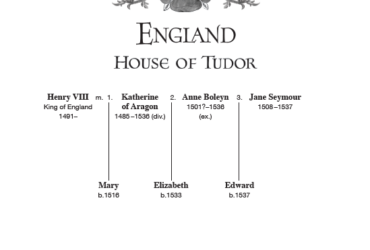 She has published seventeen history books, including The Six Wives of Henry VIII, The Princes in the Tower, Elizabeth the Queen, Eleanor of Aquitaine, Henry VIII: King and Court, Katherine Swynford, The Lady in the Tower and Elizabeth of York. Alison has also published five historical novels, including Innocent Traitor and The Lady Elizabeth. Her latest biography is The Lost Tudor Princess, about Margaret Douglas, Countess of Lennox. She is soon to publish Katherine of Aragon: The True Queen, the first in a series of novels about the wives of Henry VIII. She is a Fellow of the Royal Society of Arts and Sciences and an Honorary Life Patron of Historic Royal Palaces, and is married with two adult children. Alison Weir is the top-selling female historian in the United Kingdom, and has sold over 2.7 million books worldwide. 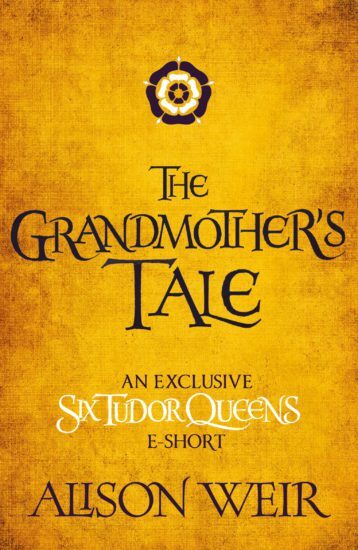 She has published seventeen history books, including Elizabeth the Queen, Eleanor of Aquitaine, The Lady in the Tower and Elizabeth of York, and five historical novels. Her latest biography is The Lost Tudor Princess. She is soon to publish Katherine of Aragon: The True Queen, the first in a series of novels about the wives of Henry VIII. © 2016 - 2019 Headline Publishing Group.